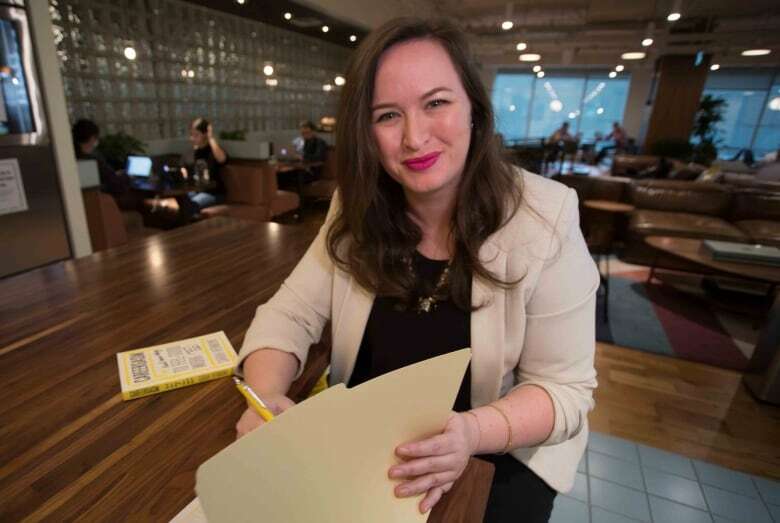 Experts say the precarious jobs held by young adults in Toronto are one of the factors behind the Toronto Foundation's new survey findings, published in a first-of-its-kind "social capital" study. Even though she's renting in the close quarters of a cozy Toronto house, Helmi Piesanen doesn't know any of her neighbours. Well, except her landlord, who lives downstairs — but the 27-year-old says that doesn't count. "Nobody visits anybody randomly ... so much of our communication is online," Piesanen laments. And she's not alone in feeling that way among people in her age group. 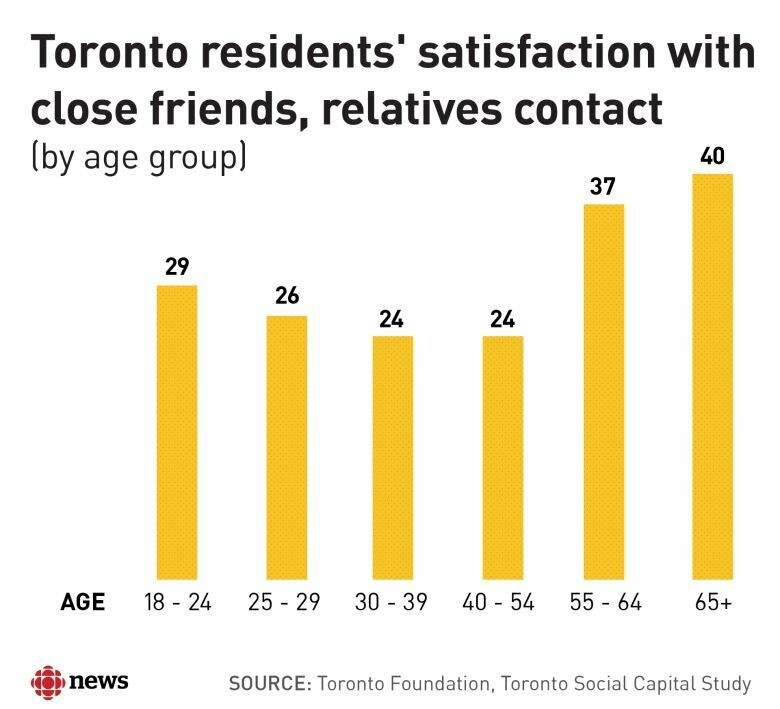 A new, first-of-its-kind report from the Toronto Foundation exploring the relationships of Toronto residents, be it their neighbourhood networks or friend circles, reveals a clear trend: Young people between 25 and 29 are experiencing the lowest level of "social capital" among all age groups. That includes not knowing their neighbours, with nearly one in five respondents in that age range admitting they don't know a single person living around them. Released on Tuesday, the survey co-led by the Environics Institute for Survey Research measured city-wide responses in four areas: Residents' trust in others, the strength of their social networks, their civic engagement, and their level of neighbourhood support. "Across the board in those dimensions, our young people are not faring really well," says Sharon Avery, the Toronto Foundation's president and CEO. 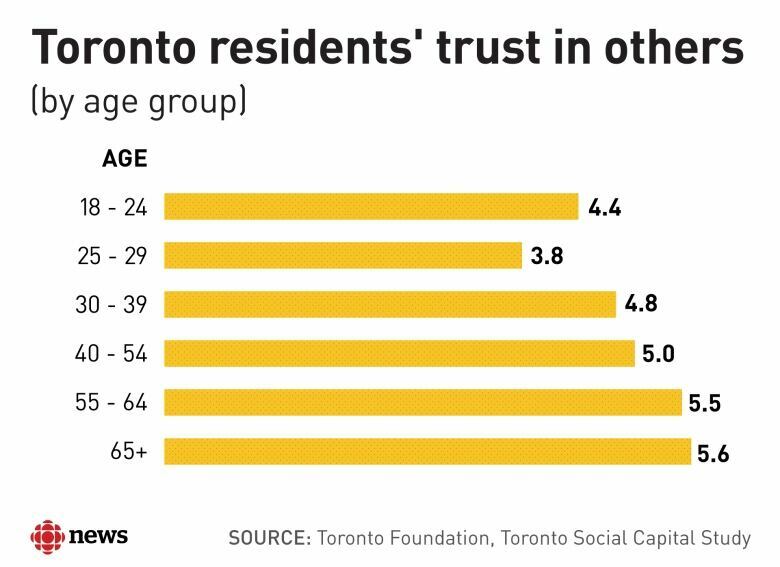 People aged 25 to 29 have the lowest level of trust in others among all age groups, the survey of more than 3,200 Toronto residents shows, and around 17 per cent of those young adults also report having fewer friends than other age groups, beyond their close social circle. "There's no question that youth quadrant is struggling," Avery says. The 29-and-under crowd also reported a low level of satisfaction when it comes to communicating with friends and relatives, and the lowest score among all age groups for the strength of their relationships. The report found that "social network capital" goes up a bit alongside someone's income — and that correlation was the most clear for residents in that age group as well. "They're doing precarious work," notes Avery. "When people aren't feeling good about how they're doing from a success standpoint ... they tend to isolate themselves." Outside experts interviewed by CBC Toronto also stressed that people between 25 and 29, who are trying to find their footing in the workforce, are often encountering major career uncertainty that can have a ripple effect on their social life and overall wellbeing. For career coach Sarah Vermunt, working with young adults who feel "lost" is a near-daily occurrence. "They have a social life, but they don't necessarily feel deeper connections," she says of many of her young clients under 30. Vermunt, an author and the founder of coaching company Careergasm, says that's partly just an age thing: People in their mid-to-late-20's are in transition, leaving behind their tight-knit university or college lifestyle, moving out on their own, and typically renting or living in a condo — without the strong support network that typically comes later from having a family and a long-term neighbourhood. But in Toronto, she agrees the precarious work element also plays a major role, since "that's where people make long-lasting friendships." 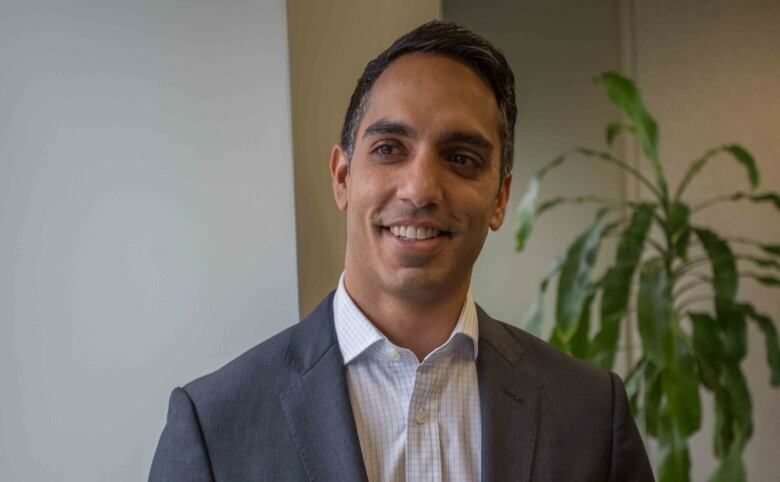 Arif Jetha, an associate scientist at Toronto's Institute for Work and Health, says research shows nearly half of all young people are precariously employed. "As you can imagine," he adds, "That can be quite stressful, that can leak out into their social lives." Avery says the survey's findings should raise questions in Toronto over how the city can engage young people more, and what those residents can do to build more social capital. "That is at the essence of our quality of life," she says. "We know our mental health, our happiness ... is about our connectedness to others." One key statistic from the survey, Avery says, is the six per cent of respondents who reported feeling totally disconnected, with no close family members to rely on, and a similar number revealing they have no close friends. "In a city this size, that's 100,000 people feeling they're not connected to something," says Avery. But the results on a broad scale were actually positive, she adds. 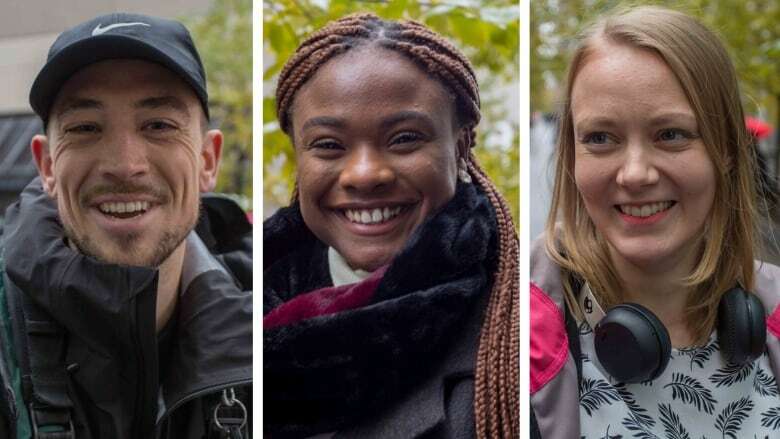 Overall, Toronto residents responded that they do have social networks and neighbourhood connections — something Avery says is crucial to "a good quality of life, a healthy population, safe streets, and economic prosperity." The survey was conducted between March 12 and July 10, 2018 by phone, with surveys completed with 3,207 Torotno residents. Because the survey was only partially based on probability sampling methods, a margin of sampling error cannot be calculated, and the results should be considered an estimate and not a precise measure of the full population-at-large. The study was conducted by the Environics Institute for Survey Research, in partnership with Toronto Foundation, as well as TAS Design Build, Community Foundations of Canada/Canadian Heritage, MLSE Foundation, United Way Greater Toronto, the Wellesley Institute, and the Ontario Trillium Foundation. Additional support has been provided by the National Institute on Ageing, Environics Analytics, CanadaHelps, and the City of Toronto and Toronto Public Health.